Starting working on my website which I established on January 25, 1999 was a very significant decision for me. Let me give you the background to this story: You know, skills are invisible so I have been expressing that on my website. In those days I wanted to become a computer instructor. However, I got an email to ask me to write a book via my website. This chance made me to meet a lot of people. I joined some writer's online community and the owner invited me to some SNS. After I joined a technical community on the SNS, the community administrator asked me if he recommended me as a candidate for a Microsoft award program. 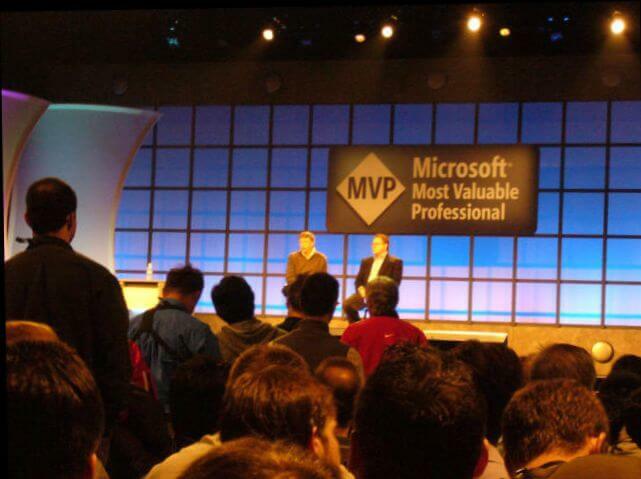 After being awarded by Microsoft, I attended the special conference in Seattle. I met a lot of friends and I learned a lot. Thanks to these opportunities, I have a lot of American friends. Now I am making a living by getting money from the ads. I am my own boss so I can visit my friends whenever I want.